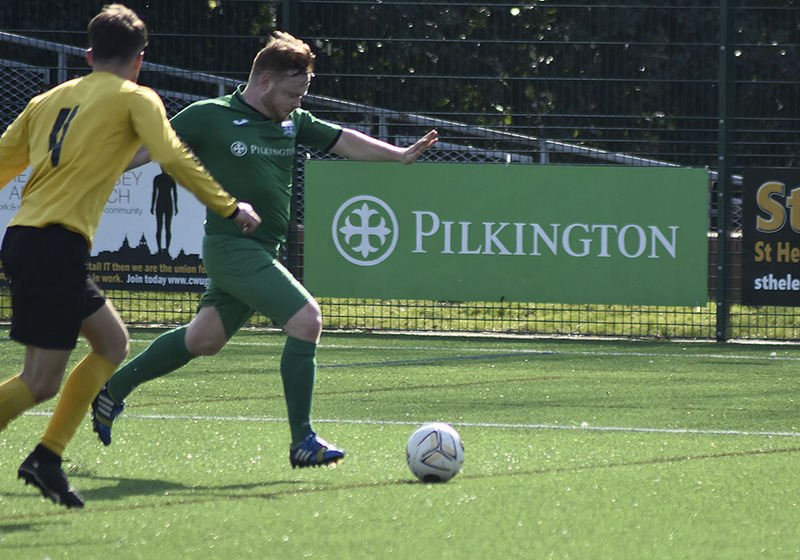 Pilks took a step closer to the Cheshire League Premier Division title when they smashed Egerton 6-0 at the Arcoframe. 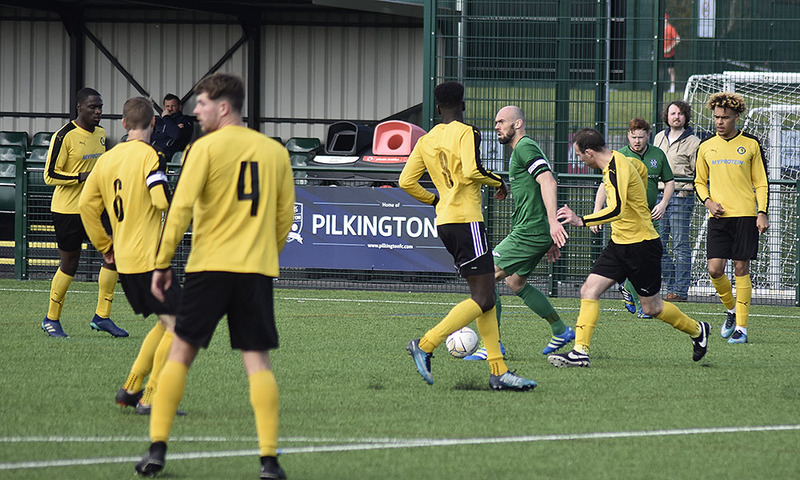 The game started with the opposition being well organised and sitting behind the ball which made it difficult for Pilks to create goal chances in the opening minutes. On 20 minutes their first real opening fell to Matty Taylor but his shot rattled the bar. Minutes later, Taylor got the opening goal after Graham Boylan won the ball on the edge of the box and played him in for his first of three goals. On 27 minutes they doubled their lead when Taylor’s free kick was headed home at the back post by Miguel Gillam. Then, five minutes before the half Nathan Moore burst down the right and delivered a pinpoint cross for Boylan to head home. They could have been even further ahead but Mason Ryan shot over after a mazy run from the half way line. Deklan Hill entered proceedings on 55 minutes and his first contribution was a shot that just missed the target. Taylor got his second on 61 minutes after good hold up play from Boylan allowed the cross for him to convert at the back post. 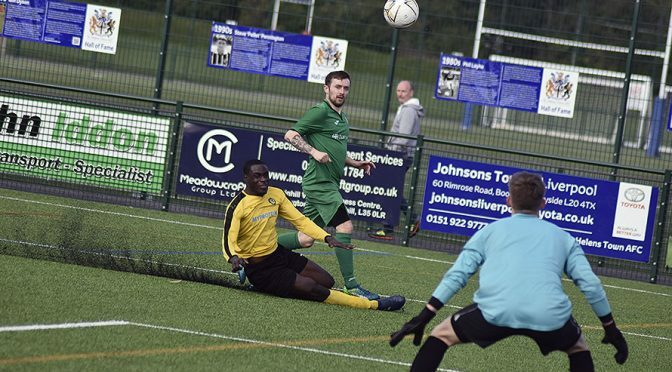 He completed his hat-trick with 15 minutes left when he won the ball off the keeper’s poor clearance and passed it into an empty net, albeit off the post! The only disappointment of a good display was the dismissal of Luke Sephton on 80 minutes for a second bookable offence that will mean he misses the final league game of the season. Hill made it six with minutes left when he stuck home from 30 yards out. 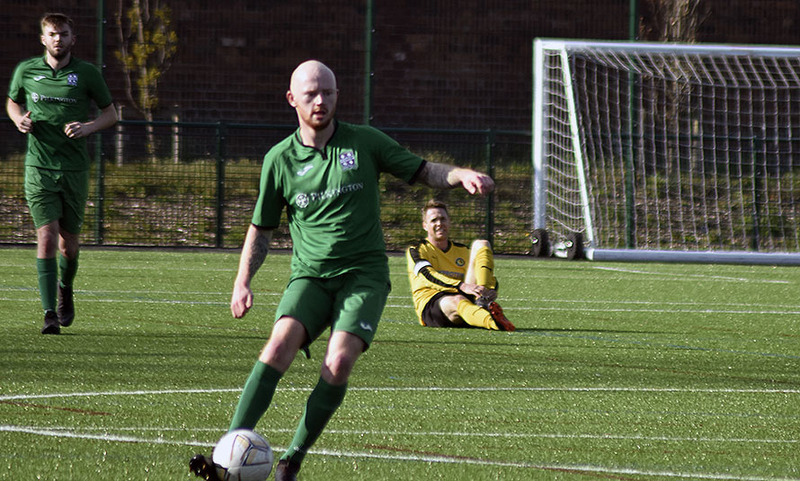 This was another solid game for Pilks that takes their unbeaten league run to 13 games. 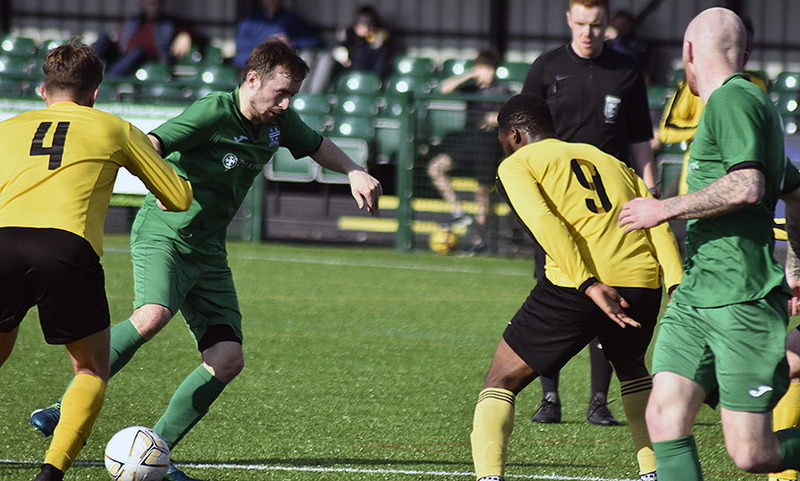 It means that another win in their final game on April 20th against Congleton Vale at the Arcoframe Stadium will see them crowned Cheshire League Premier Division Champions on goal difference for the first time ever. Previous PostA step closerNext PostFrom Bare Bones to Promotion Powerhouse!! Our Seniors play in the Cheshire League First Division at Step 7 of the National League System. We have FA Charter standard, enjoy excellent 3G facilities at Ruskin Drive Sports Village and have qualified coaching upto Level 3 (UEFA B). From M6 junction 23 to A580. Approx 400 metres after 4th set of traffic, lights, turn left then bear right at the next junction. Turn right into Bishop Road and continue to halt sign. Continue following road around, through the pedestrian crossing to Ruskin Drive (second road on left).